We have a number of hen party packages including day time activities, evening dining, night time entertainment, hotel and B&B accommodation. Below is a list of the options available. If you would like a different day-time activity (other than a dance or cocktail making class), please note that in association with G2 Adventure Centre Carlow, your group can go karting, roller skating, wall climbing, zip lining, play bubble soccer or do tag archery. For more information, just click here. Additionally, if you are looking for other hen party activities, games or ideas including Treasure Hunts, Murder Mysteries and much more, just click here. 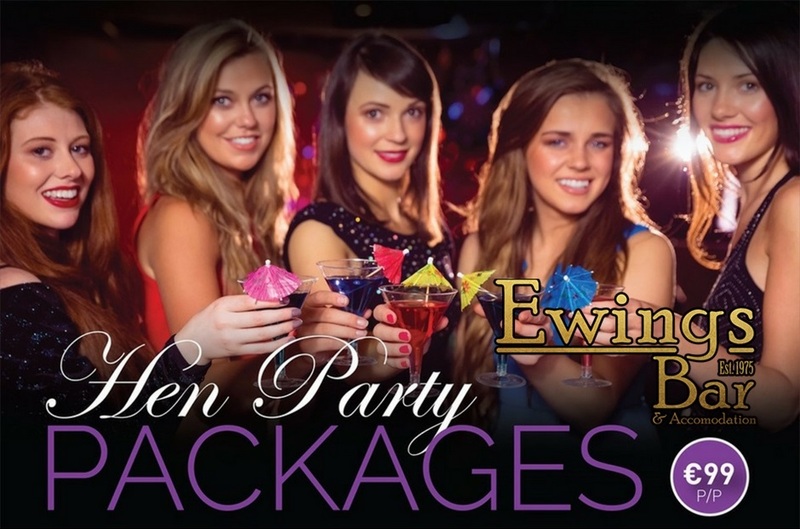 To make a Hen Party booking please call 059 9133111. In addition to the options outlined above, please click HERE for Packages in conjunction with Ewings B&B, which is also very centrally located. 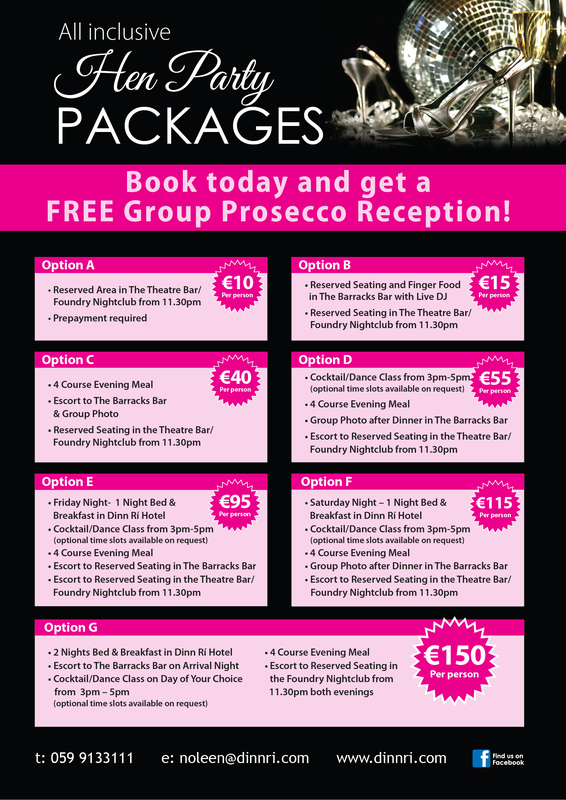 BOOK YOUR HEN PARTY TODAY TO AVAIL OF A COMPLIMENTARY PROSECCO RECEPTION FOR YOUR GROUP!